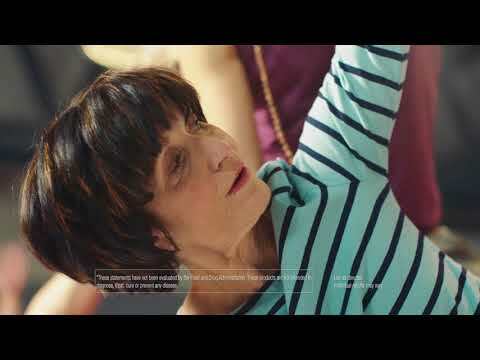 During the day, you move your joints in so many different ways, getting up, sitting down, bending and flexing. 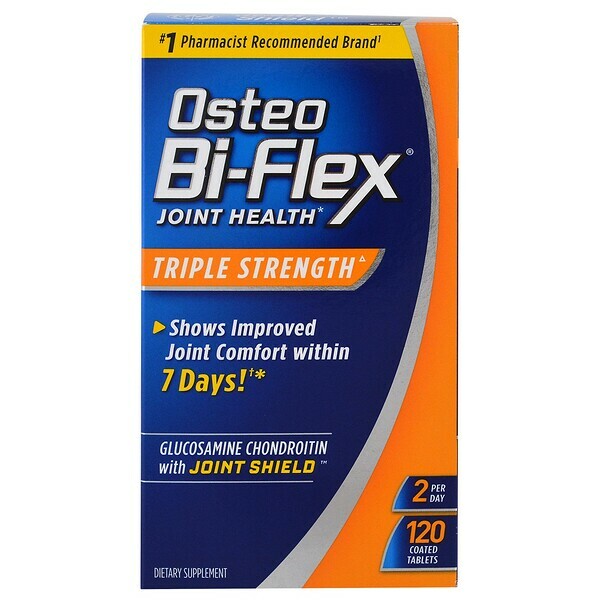 Osteo Bi-Flex is America's #1 Joint Health brand² and supports joint comfort, so you can enjoy a range of motion for your day's activities. 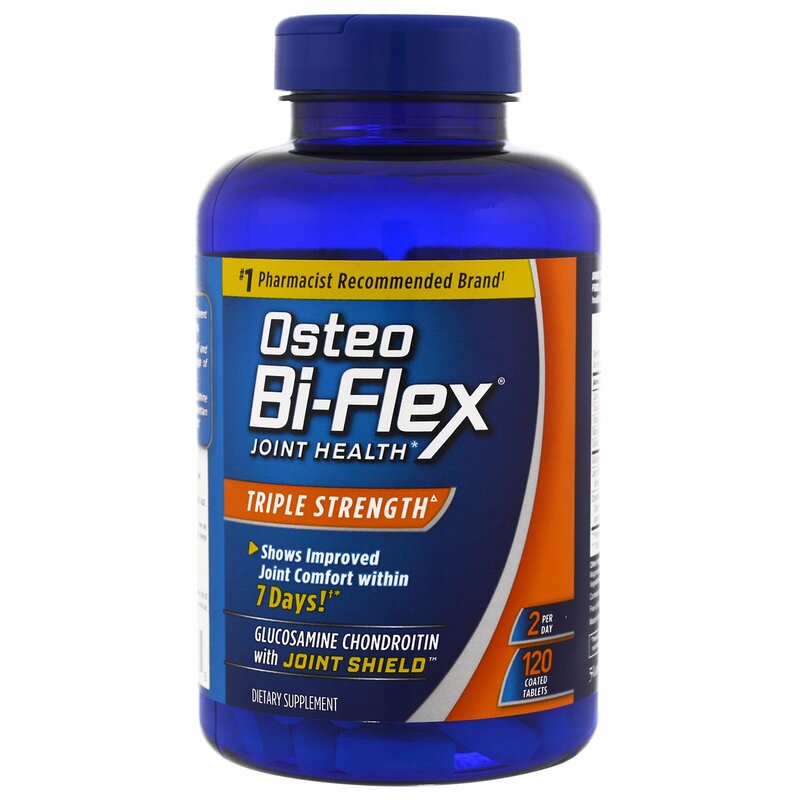 Osteo Bi-Flex Triple Strength contains glucosamine which helps to strengthen joints while helping maintain joint cartilage essential for comfortable movement. Joint Shield is our clinically studied beneficial herbal ingredients that has been shown to significantly improve joint comfort in just 7 days. It is a highly concentrated form of Boswellia serrata that helps soothe your joints while improving joint function for comfortable movement. †Based on two human studied with 5-Loxin Advanced where subjects rated their joint health over time, subjects' joint health improved with 7 days, and continued to improve throughout the duration of the studies. ¹Based on the results of the Pharmacy Times Survey among pharmacists who recommend a "bone/joint strengthener" dietary supplement, 2016-2017. ²Based on Nielson data for the 52 weeks ending June 25, 2016. 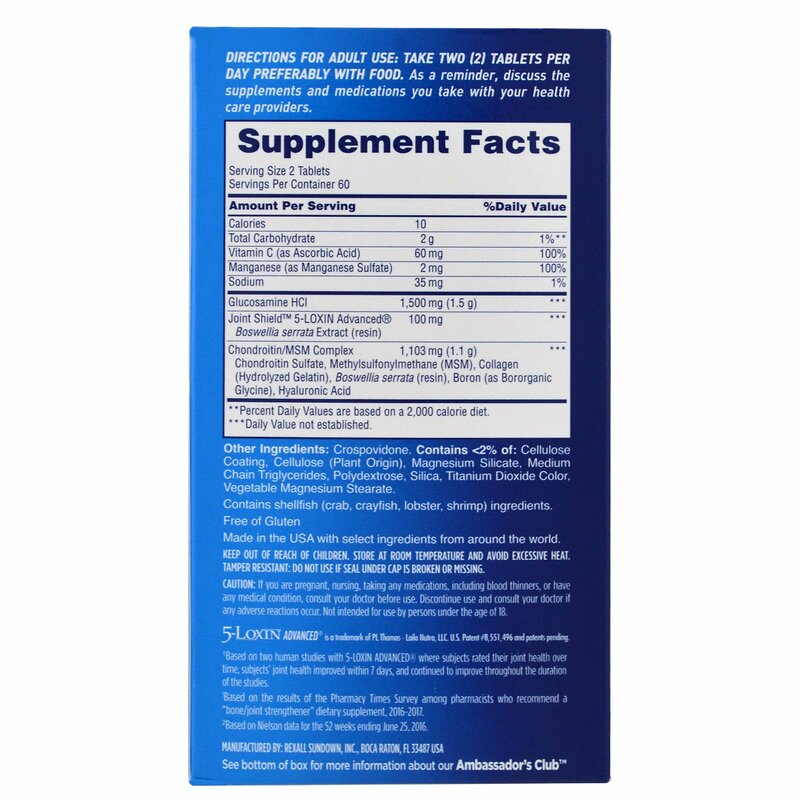 ^Refers to level of key ingredients in each individual tablet. For Adult Use: Take two (2) tablets per day preferably with food. As a reminder, discuss the supplements and medications you take with your health care providers. Crospovidone. Contains <2% of: Cellulose coating, cellulose (plant origin), magnesium silicate, medium chain triglycerides, polydextrose, silica, titanium dioxide color, vegetable magnesium sterate. Contains shellfish (carb, crayfish, lobster, shrimp) ingredients. Keep out of reach of children. Store at room temperature and avoid excessive heat. Tamper Resistant: Do not use if seal under cap is broken or missing. Caution: If you are pregnant, nursing, taking any medication, including blood thinners, or have any medical condition, consult your doctor before use. Discontinue use and consult if any adverse reactions occur. Not intended for use by persons under the age of 18.